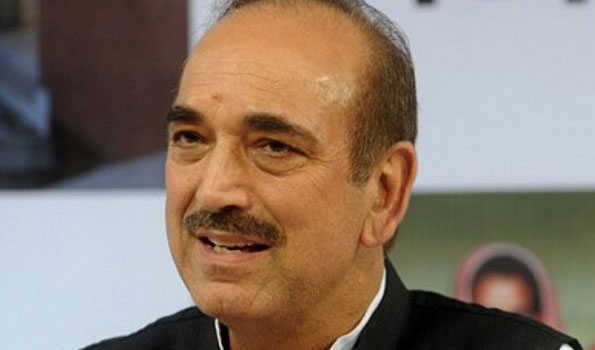 New Delhi: A sedition case was filed on Friday against senior Congress leader Ghulam Nabi Azad in Patiala House Court here for his alleged remarks that more civilians were being killed in army operations in Jammu and Kashmir than terrorists. Advocate Shashi Bhushan filed a case against Mr Azad on the basis of a TV interview on June 22 in which the Congress leader allegedly said that the Indian Army in Jammu and Kashmir was killing more civilians than terrorists during military operations in the state. The petitioner further accused former Jammu and Kashmir Chief Minister of spreading hatred and trying to malign the country's image. The petitioner, after submitting all relevant facts, has sought action against Mr Azad for offences under sections 124 (sedition), 120B (criminal conspiracy) and 505 (spreading rumour about army/navy/air force official which is likely to cause mutiny) of Indian Penal Code.